Toronto, ON – The Ontario Hockey League announced today that Eric Wellwood has been named Head Coach of the Flint Firebirds. 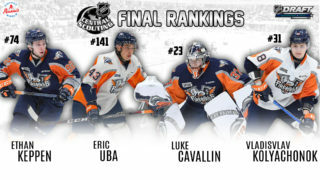 Wellwood comes to Flint with a winning background, earning three CHL Memorial Cup Championships, twice as a player with the Windsor Spitfires (2009 & 2010) and once as a coach with the Oshawa Generals (2015). Additionally, before sustaining a career-ending injury, Wellwood recorded five goals and five assists in in 31 NHL games with the Philadelphia Flyers from 2010-13. 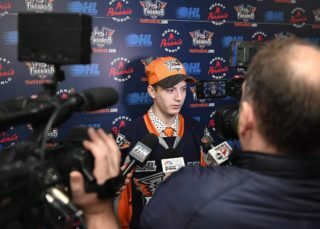 A native of Windsor, Ont., Wellwood was behind the Firebirds’ bench as an Associate Coach during the 2016-17 season, Flint’s most successful season to date. 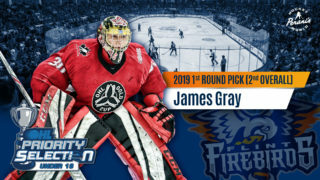 During that campaign, the Firebirds recorded 32 victories en-route to earning the franchise’s first playoff appearance, eventually earning one victory in the first round of the post-season. Wellwood is in the midst of his fifth consecutive season as a coach behind the bench. Most recently, he has been an assistant coach for the University of Windsor Lancers Men’s Hockey Team in the Ontario University Athletics (OUA) league. As a player in the OHL, Wellwood amassed 125 points (58G, 67A) in 217 games, finishing with a plus-54 rating. Additionally, he nearly averaged a point-per-game in 44 OHL playoff contests, scoring 14 times and adding 17 assists for 31 points. Eric will join the Firebirds once all the necessary immigration requirements have been approved.